Also see: Baldwin Quarterly Magazine - "The Latest Diesel Power"
A 2000 hp locomotive designed during the war but not built until 1945 due to war time restrictions. Powered by twin 8 cylinder VO engines with A1A-A1A trucks. Two demonstrators #2000 & 2001 were built. #2001 differed by lacking the externally mounted air intake shutters on the other two units. 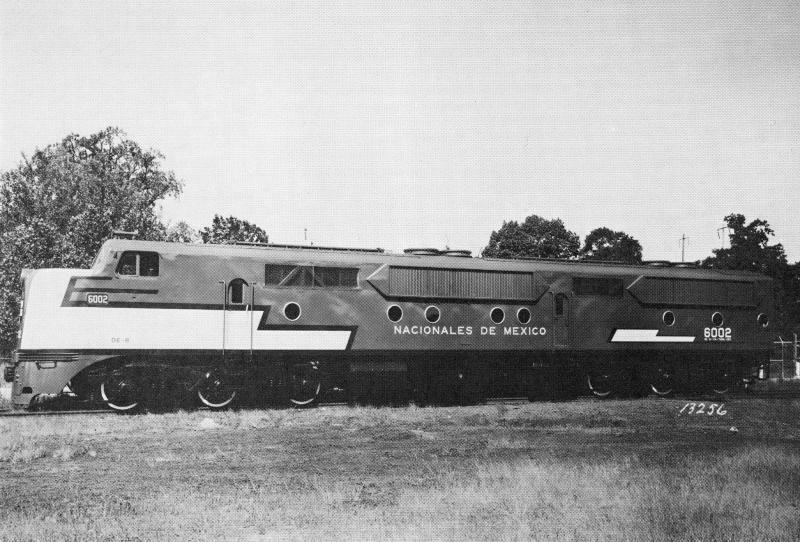 The units were demonstrated on US railroads then sold to Ferrocarriles Nacionales De Mexico. NdeM ordered one more unit (#6002) built in 1946. These were the last VO powered units produced. Baldwin artwork In the Baldwin publication "Half a Century of Diesel Engine Development" from 1945, a proposed 3000hp version is shown. class 0-6-6-0 1500/2 DE. None where built.